In his introduction, author FM Graham Burgess writes, "I have written this book in such a way that it provides inspiration and useful information for everyone with an interest in chess, from total beginners to grandmasters." I seriously doubt GM's will find this book useful or for that matter, anyone except maybe new players. The book is divided into three parts: Part One: Mastering Chess in which the author covers delivering mate, tactics, combinations, endgames, openings, open and semi-open games, d-Pawn openings, flank and miscellaneous openings, attack and defense. The Delivering Mate chapter is aimed at beginners and the tactics chapter intoduces things like forks, pins, discovered attacks, skewers, and deflections, etc. The Endgames chapter is a basic review and is only about 20 pages long. Then comes chapters devoted to an overview of various openings. The balance of Part One, titled Attack and Defense, consists of annotated games illustrating basic strategy. 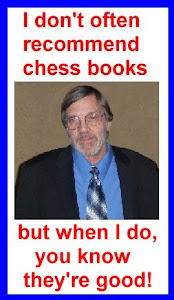 Part Two is a bunch of boring chapters on the chess clock, tournament play, computer & internet chess, puzzles, women's veterans, junior and correspondence chess, and finally, endgame studies and chess in the media. Part Three consists of a Glossary of Chess Terms, A Brief History of the World Chess Championship and other miscellaneous stuff for people new to chess and the indexes. Unless you are an absolute beginner and new to the world of chess, pass on this one.